The U.S. Navy has always had a weird love-hate relationship with gunboats. Over the past two centuries, they crank them out for use in littoral operations that do not warrant a destroyer or cruiser, then quickly shed them while almost new to buy a couple more destroyers or cruisers that they can’t use in littoral situations. One such example was the 17 Asheville-class gunboats built in the 1960s. Just 244-tons, the 164-foot ships were fast due to their CODOG hybrid gas turbine/diesel plant, could float in 10 feet of water, and packed a 76mm gun as well as other assorted party favors. 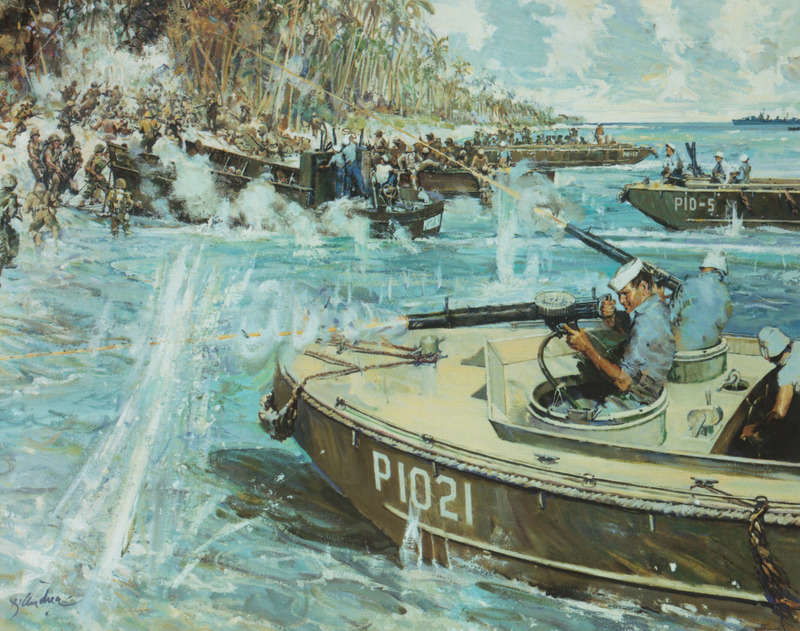 However, once Vietnam wrapped up and they lacked much of an immediate mission (never mind that Iran would implode in 1979 and leave the Persian Gulf as a chokepoint nightmare for a half-century), most of the class was pulled from the fleet and given to Third World allies who it was thought could better use them. A few stuck around in niche (non gunboat) roles into the 1980s and 90s, but they were the exception to the rule. One of the last in such a niche was USS Grand Rapids (PGM-98/PG-98). After just seven years with the fleet, she was decommissioned on 1 October 1977 and transferred to the same day to the Naval Sea Systems Command where she was used as the disarmed research vessel Athena II (165NS762) for another 40 years. Liquidated by the Navy in 2017, she is now docked in the Mobile, Alabama area in private hands and is for sale for $350K, should you be interested. The Navy last week announced the completion of developmental testing for Raytheon’s AN/AQS-20C mine-hunting sonar system at Naval Surface Warfare Center, Panama City Division. The AQS-20C is the next generation of the AN/AQS-20 system designed to be incorporated into the Littoral Combat Ship Mine Countermeasures Mission Package. The system consists of four sonar arrays: two side-looking arrays; a gap-filler sonar array; and a forward-looking sonar array providing simultaneous detection, localization, and classification of bottom mines, close-tethered moored mines, and volume-moored mines. The system delivers high-definition images of bottom mines, providing the operator with both range and contrast data that combine to form a three-dimensional image during post-mission analysis to aid in mine identification. Developmental testing verifies that a system’s design meets all technical specifications and that all contract requirements have been met. During testing the Raytheon-developed towed sonar sensor conducted 12 underway missions in various operational modes and at different depths at four separate NSWC PCD test ranges. The missions were conducted aboard the test vessel M/V Patriot. The AQS-20C will now be integrated with and deployed from the Mine Countermeasures Unmanned Surface Vehicle (MCM USV), a long-endurance, semi-autonomous, diesel-powered, all-aluminum surface craft that supports the employment of various mine countermeasure payloads. The MCM USV can be launched and recovered by the LCS, from other vessels of opportunity or from shore sites to provide minesweeping, mine-hunting, and mine neutralization capabilities. The MCM USV is currently undergoing developmental testing as a component of the Unmanned Influence Sweep System at the South Florida Test Facility in Fort Lauderdale, Florida. Test results will now undergo scoring and performance assessment leading up to a final developmental testing report that is expected to be completed in the spring. Findings from this report will be used for future performance improvements of the system. UK Defence Secretary Gavin Williamson this week announced a concept and development phase for two new vessels – called Littoral Strike Ship. Littoral Strike Ship are vessels which can command an assault force from anywhere in the world – carrying everything from helicopters and fast boats to underwater automated vehicles and huge numbers of troops. They are designed to be able to get in close to land – with ‘littoral’ literally meaning the part of the sea which is closest to the shore. The RN’s “Gator” assets currently number just a pair of 21,000-ton Albion-class landing platform docks (LPDs)– HMS Albion and HMS Bulwark— as well trio of relatively new 16,160-ton Bay-class dock landing ships (LSD)– the latter used to be four but they sold one, Largs Bay, to Australia in 2011. The Bays are manned by civil mariners of the RFA, which is basically the British version of the MSC. Each of the five aforementioned British LPD/LSDs can comfortably carry about one half of a Commando battalion (of which the RMs have two, 40 Commando and 45 Commando) as well as a smattering of Chinooks, LCUs, and LCVPs. Only one vessel on the RN’s list in recent years could carry a full Commando unit, HMS Ocean, and she was just sold to Brazil with a lot of life left in her. So, on the outset, it looks like between the five current ‘phibs available to the RN, they could land the two 700-man Commandos available to them without much of an issue. With that, why the new vessels? Under plans being looked at by the Royal Navy and Royal Marines, these assault ships would be forward deployed permanently away from the UK. Ahhhh, so basically Littoral Strike Ship = Expeditionary Sea Base (ESB) platform but with a British jack. USNS Lewis B. Puller (T-ESB 3) employs a flight deck for helicopter operations. T-ESB 3 is able to carry four MH-53E helicopters or five Twenty Foot Equivalent Unit Military Vans and still have room to maneuver and store other equipment. Long considered essential beachwear for Russian frogman-types, production is ramping up for the special 4.5mm and 5.66 mm dart-projectile ammo used in the country’s underwater-capable guns. The 4.5mm round fires a mild-steel flechette dart loaded atop a 39.5mm bottlenecked case and is used in the 4-shot SPP-1 pistol while the larger 5.66mm cartridge was designed for the APS rifle system. Due to automation, the factory can now produce 10,000 of these specialty rounds per day. Always something captivating about a night transit of a place like this while “haze gray and underway.” Just keep your eyes out. A few years ago the Navy put together a Special Purpose Marine Air-Ground Task Force (SPMAGTF) built around just 250 Marines with a quartet of four CH-53E Super Stallion helicopters. Deployed to Central America in a series of joint exercises and nation-building projects under Southern Command, they spent six months underway. In recent months, a few additional pages in the same book have been added. Sailors and Marines assigned to Littoral Combat Group One (LCG-1) just returned to Hawaii after spending six months in the Eastern Pacific– an area that sees few USN deployments. Consisting of just two-three vessels– USS Somerset (LPD 25) and USS Wayne E. Meyer (DDG 108), along with the occasional support of the oiler USNS Yukon (T-AO 202) — they embarked the 300~ Marine SPMAGTF-Peru augmented by Coast Guard LEDETs, the latter to perform stops on narco subs prone to the region. They conducted ops and exercises with partners in Chile, Ecuador, and Peru. Air assets on Somerset included at least two CH-53Es, assigned to the “Heavy Haulers” of Marine Heavy Helicopter Squadron (HMH) 462 and a couple UH-1Y Hueys assigned to the “Vipers” of Marine Light Attack Helicopter Squadron (HMLA) 169. Moving past the LSG and SPMAGTF’s, there was the single-vessel Task Force Koa Moana 2018. Some 130-ish TFKM Marines and Sailors called the civilian-manned Stockman home for two months last year, in humanitarian assistance missions across Oceania. Sure, they aren’t units capable of forcing a beach against a top-tier enemy, but, besides disaster response, LE support, training, and humanitarian missions, groups such as these–if needed– could probably pull off TRAP recoveries, non-combatant evacuations, and FAST-team style legation reinforcements, which in the end, can help take up the slack from overworked Amphibious Ready Groups and Carrier Task Forces. Just keep them out of harm’s way in contested areas as this could be a way to get a handful of guys in a lot of trouble, fast. Here we see the mighty 110-foot Submarine Chaser No. 330 of the U.S. Navy en route across the Atlantic, circa September-October 1918, to take the fight to the Kaiser’s unterseeboot threat. The hearty little class, more akin to yachts or trawlers than warships, were hard to kill and gave unsung service by the hundreds, with SC-330 one of the longer-lasting of the species. In an effort to flood the Atlantic with sub-busting craft and assure the U-boat scourge was driven from the sea, the 110-foot subchasers were designed by Herreshoff Boat Yard Vice President, the esteemed naval architect Albert Loring Swasey (Commodore of the MIT Yacht Club in 1897) on request of Asst Naval Secretary Franklin D. Roosevelt in 1916 and rushed into construction the next year. It was believed the vessels could be rushed out via commercial boat yards at $500K a pop. Derided as a “splinter fleet” the SCs were built from wood (the most excellent Subchaser Archives says “Frame/floors: white oak. Planking: yellow pine. Deck planking: Oregon pine”), which, when powered by a trio of Standard 220-hp 6-cylinder gasoline (!) engines, a 24~ man crew could get the narrow-beamed vessel underway at a (designed) top speed of 18 knots, which was fast enough for U-boat work at the time. Armed with a 3″/23cal low-angle pop gun forward– which was still capable of punching a hole in a submarine’s sail or pressure hull out to 8,000 yards– a couple of M1895 Colt/Marlin or Lewis light machine guns for peppering periscopes, and assorted depth charges (both racks and projectors), they were dangerous enough for government work. For finding their quarry, they were equipped with hydrophones produced by the Submarine Signal Company of Boston (which today is Raytheon), of the C-tube and K-tube variety. Besides escorting coastal convoys (subchasers had short legs) and watching for surfaced boats, 3-packs of the hardy little vessels would drift and listen, their K-tubes and C-tubes in the water, depth charges at the ready. The first of the class, SC-1, was built at Naval Station New Orleans and commissioned in October 1917. Others were built at Mare Island, New York (Brooklyn), Charleston, Norfolk and Puget Sound Naval Yards; by Matthews Boat in Ohio, Hodgdon Yacht in Maine, Hiltebrant in Kingston, College Point Boat Works, Mathis Yacht in New Jersey, Barrett SB in Alabama, Great Lake Boat Building Corp in Milwaukee…well, you get the idea…they were built everywhere, some 448 vessels over three years. Our subject, SC-330, was handcrafted with love by the Burger Boat Co., Manitowoc, Wisconsin— the only such craft built by the yard– and commissioned 8 February 1918. Of note, Burger is still in the yacht biz today. She cut her teeth with the early submarine hunter-killer group centered around the Paulding-class four-piper destroyer USS Jouett (DD-41) on the East Coast. 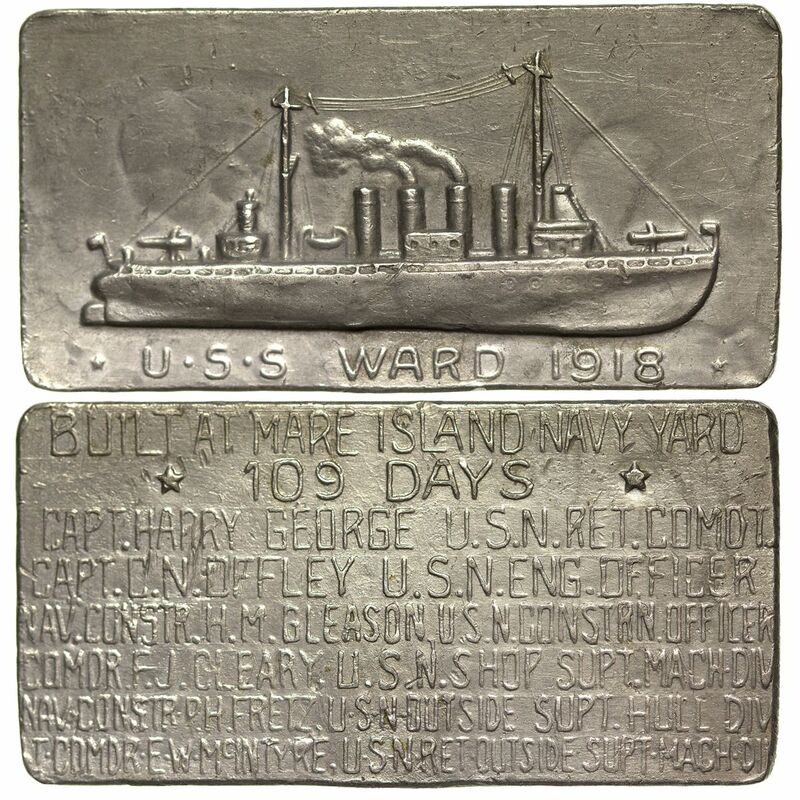 Assigned to Division 12 of Submarine Chaser Squadron 4 for service overseas during the Great War, SC-330 headed overseas in September 1918, ending up in the Azores. Rushed into service, at least 121 of the 110s made it “Over There” before Versailles, including no less than 36 that operated in the Med from the island of Corfu. Not bad for ships that only hit the drawing board in late 1916. The boat carried two officers, a CPO, five engine rates, three electricians (radiomen), a BM, a QM, 3 hydrophone listeners, a couple of guys in the galley, and 5-7 seamen. Crews were often a mix of trawlermen serving as rates, Ivy League yachtsmen as officers, and raw recruits making up the balance. In many cases, the Chief was the only regular Navy man aboard. Life was primative, with no racks, one head and hammocks strung all-round. Most crews went from civilian life to getting underway in just a few months. The fact that these craft deploying to Europe did so on their own power– effectively in a war zone as soon as they left brown water on the East Coast– with very little in the way of a shakedown is remarkable. The ships did what they could and, when used in a littoral, performed admirably. 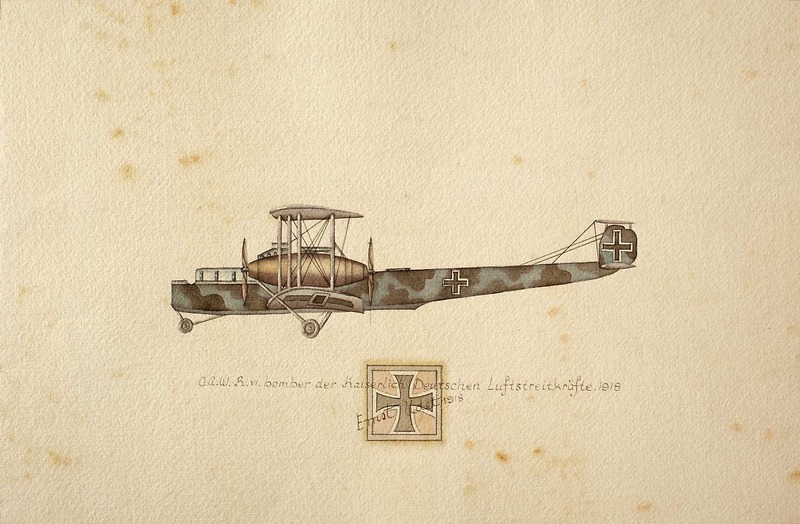 For example, a squadron of 11 of these chasers screened the British-French-Italian naval forces during the Second Battle of Durazzo in Oct. 1918, destroying mines that threatened the bombarding ships and driving off an Austrian submarine trying to attack the Allied fleet. However, when in open ocean, things could get really real for them. The 110 foot subchaser was a fine sea boat, but was never designed to withstand the wild Atlantic seas off Ireland. Constant leaks from decks and windows, choking petrol fumes in the officers quarters, and constant seasickness from the rolling motion, were the lot of crews of these craft. In heavy weather they would be almost awash, with only the pilot house showing above the waves. The depth charge racks were felt to be too heavy and made the vessels prone to taking seas over the stern. Many reports of German submarines from coastwatchers and others were actually subchasers ploughing through heavy seas. Once the war ended, SC-330 was sent back to the states, served in Gitmo for a time, and was laid up in the Gulf Coast in 1919. SC-330 caught a reprieve. In the summer of 1920, she was sent up the Mississippi River system and served on semi-active duty through the 1920s and 30s, training Naval Reservists in the Midwest. As such, the little boat and those like her cradled the USNR through the interwar period, and, without such vessels, WWII would have looked a lot different. Of her 448 sisters, more than 100 were transferred to the French during the war, some to the Coast Guard in the 1920s, and most liquidated by the early 1930s as they grew long in the tooth. Wood vessels with gasoline engines weren’t highly desired by the Navy at the time, after all. USCGC Vaughan, ex-USS SC-152, was built by the Gibbs Gas Engine Co., Jacksonville, FL but served her career in Coastie White off Key West and San Diego during Prohibiton. With Volstead on its way out, she was decommissioned 28 March 1928 and sold. Her end is similar to most SCs., discarded before they had 10 years on their rapidly deteriorating wooden hulls. Few of the 110s survived the Depression on Uncle’s inventory and SC-330 was the only one of her 100-ship block (from SC 301-400) to serve in WWII, likely continuing her role as a training ship. As most of her life had been spent in freshwater– usually wintering ashore to keep out of the ice– the likely contributed to her longevity. Only about a dozen or so 110s were carried on the Naval List during the Second World War. (The other 12 were: SC-64, SC-102, SC-103, SC-185, SC-412, SC-431, SC-432, SC-437, SC-440, SC-449, SC-450, SC-453, one of which was lost and three were retired before the end of the war. In addition, SC-229 and SC-231 were in USCG service as the cutters Boone and Blaze, respectively). 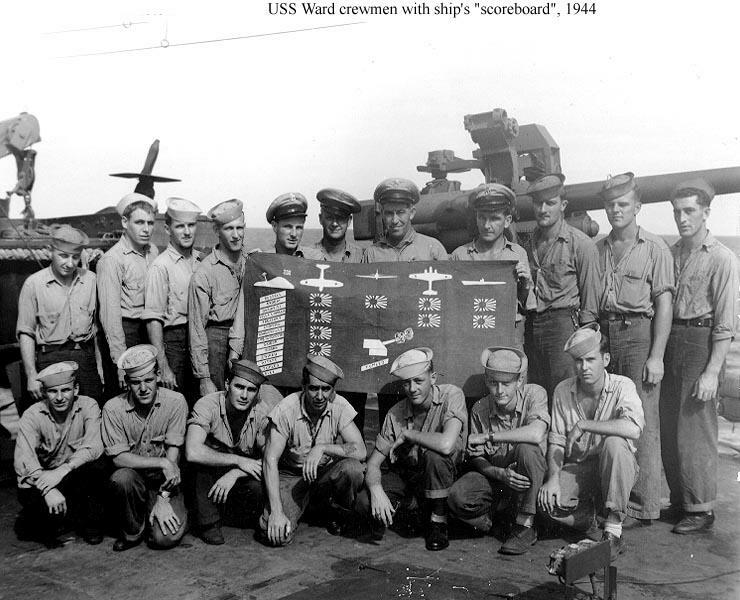 Most were in YP or training duties, although some did mount ASW gear to include mousetrap bomb throwers and depth charges, just in case. SC-330, was one of the last four of her type in service, decommissioning and struck from the Navy Register 22 June 1945, then transferred to the War Shipping Administration on 8 October 1946. (The only longer-lasting 110s were: SC-431 transferred to WSA on 12/9/46, SC-437 on 3/21/47, and SC-102 on 1/3/47). While these craft are all largely gone for good, extensive plans remain of the vessels in the National Archives. For more on these craft, please visit Splinter Fleet and The Subchaser Archives. Propulsion: Three 220 bhp Standard gasoline engines (!) as built, replaced by Hall & Scott engines in 1920.